This piece expands on the preceding cuttlefish analogy loosely taken from a PBS NOVA show “Kings of Camouflage”. Just as cuttlefish were driven to develop intelligence to deal with a challenging ocean environment, so will CRM need to evolve to managing the total consumer relationship to keep the corporation alive in a real-time social web environment. To oversimplify (and irritate all of the product vendors out there), CRM now essentially manages the sales pipeline (i.e. the food supply of the corporation). Of course there are second and third derivative benefits, such as managing sales force statistics and marketing effectiveness, but the prime directive is essentially feeding the primal corporate beast. This matches the analogy to any cuttlefish, food first (skip reproduction, not something I want to envision for corporations). Second is defense within the ecosystem, as it is best not to be eaten it you want to be successful. Before we can dive into the evolutionary changes that will occur to CRM we need to look at the environmental drivers of natural selection. I will break the topic into three pieces; a loose description of the ecosystem, how typically corporations handle the external ecosystem, and why it matters. The ecosystem has become much more complex with the advent of the Social Internet, with the resultant time compression of impression dissemination throughout the total consumer population. Combine the increasing number of competitors, regulators, and special interest groups (predators), with an increasingly informed consumer (food); life for a corporation looks as difficult and precarious as in any primeval cuttlefish sea. A plethora of content starved, advertising fed Web sites are an archival repository of free and unedited consumer opinion, comparison, recalls, pictures, demonstrations, and any combination(s) of products and services (real and imagined). Social media provide the neural synapses of communication for all of this (dis)information to consumers, special interest groups, media, and regulators. Time and thoughtful editing have been successfully disintermediated from the environment. 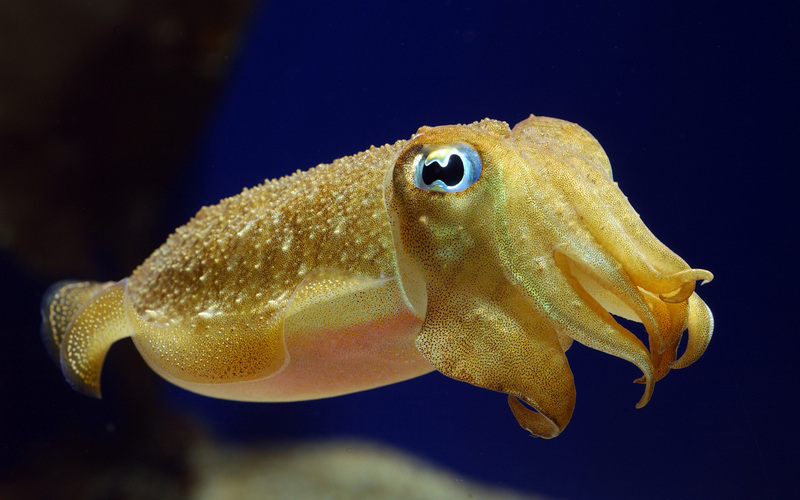 Like a cuttlefish, most corporations swimming in the Web, have a marketing group who may (or may not) perform market research, target customers, and report market direction. Legal, finance, and engineering/development groups usually track regulation and compliance. Public relations will handle corporate communications. Naturally, all of this will be done independently in the organization, essentially in a vacuum. Some efforts will not even have a persistent data repository or memory, and likely none of it will be correlated and indexed for learning and re-use. In fact, the supporting corporate “senses” are rudimentary and essentially manual (endangered species material to say the least). Why does it matter now, if it has not to date? Because the Web ecosystem itself has changed with the integration of social media. A Twitter or Facebook reference on any SmartPhone can direct customers to a YouTube video of your company’s semi-transparent exercise pants, its signature product. Even better, an ambitious DA has decided to round-up your customers for indecent exposure after “Mothers for Decency” (an advocacy group) cite your product for contributing to the corruption of minors (cash contributions abound for the DA and “Mothers for Decency” from concerned citizens). Federal and State regulators contact your warehouse in LA regarding your violation of garment content labeling laws with respect to importation and distribution. Your successful corporation is now on full display in the Web ecosystem for predators and number one on the endangered species list (cuttlefish extinction event). As ridiculously contrived as the example is, the potential is obvious and needs to be addressed. Natural selection in the market will force corporations to evolve and the most successful will prosper. I contend the current corporate IT system most apropos to evolve to act as a repository to consolidate and index is CRM. CRM systems are by their nature flexible to extension and for the most part the latest and most up-to-date addition to corporate IT. Ultimately, this environmental information pertains to all levels of customers; past, current, and potential, a true universe of consumers. Next we will look at some natural extensions and architectures to evolve. I was watching a PBS NOVA show “Kings of Camouflage” about cuttlefish, a close relative of the octopus and squid (yes, everyone has strange ways to relax…), and was struck by the creature’s intelligence and how that intellect had evolved. Being at the top of a family that includes clams and other mollusks would not seem to indicate a source of intelligence (well, given some people I’ve spoken to…), but natural selection has driven the development of intelligence and cutting-edge camouflage to blend with its environment and evade predators. It seems cuttlefish are a great packet of pure protein and at the top of the list for just about every other sea creature from fish to dolphins. This has been the imperative for it to be smart and a chameleon. At this point you are wondering what does all of this “Wild Kingdom” digression have to do with CRM? Actually, from an analogous point of view, a great deal. If we view the Web and all of its manifestations as the sea and a corporation as the cuttlefish, with CRM as part of its brain and nervous system, the evolutionary comparison is a compelling analogue. In early life, the organism looked inward to its development to organize its cellular organization; however, it quickly had to shift its view externally to survive the environment. The issue is the same, CRM organizes a company’s sales, marketing, and customer efforts with respect to itself. The Web with search engines, social media, mobile devices, etc. is always on, like the sea. Predators abound in this sea; a consumer with a bad experience, an advocacy group with contributions and grants on the line, government regulators with promotions or political office in mind, competitors looking to take your share and territory, employees, prospective employees, vendors, the list is endless. All of this information needs to be linked and correlated in one place with all of the corporate communications, sales, and marketing resources to ensure a fast and consistent response with tracking and reporting. I believe the best place to evolve that functionality within corporate IT infrastructure is to extend CRM’s nervous system outward. Unlike IT, natural section rarely evolves competing “smoke stack” organs, it cannot afford to or the organism will be lunch. The rate of change of technology, the Web, and societal change will not allow IT the luxury to create vertical smoke stacks and then consolidate them later. Evolution will have to occur now, in realtime, ready for mobile. CRM would seem to be the best candidate as a starting point. I intend to add further installments extending both the analogy and the proposed architecture. So kick back, get an order of calamari, and watch the show (PBS NOVA show “Kings of Camouflage,” too).